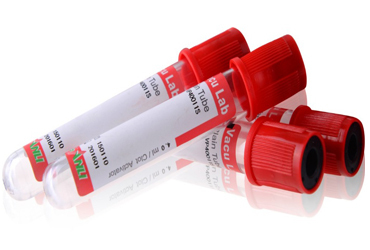 Eight kinds of vacuum blood collection tube, you know how to distinguish it? | Liuyang Sanli Medical Technology Development Co., Ltd. The different colors of the standard vacuum cap and label represent different additive types and test usages, so that the corresponding test tube can be selected according to requirements. The inner wall of the blood collection tube is evenly coated with a pharmacy(silicone oil) for preventing blood hanging on tube. It works through the principle of natural coagulation to coagulate blood, and after the serum is naturally precipitated, it will be centrifuged. 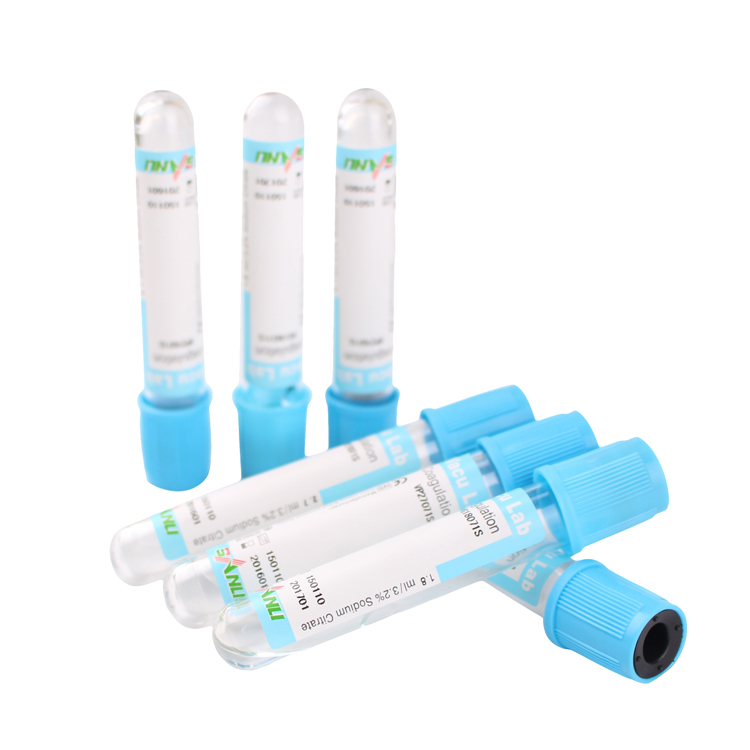 Plain tube are mainly used for serum biochemistry (liver function, kidney function, myocardial enzymes, amylase, etc. ), electrolytes (serum potassium, sodium, chlorine, calcium, phosphorus, etc. ), thyroid function, drug testing, HIV testing, tumor markers, Serum immunology. It’s coated with clot activator and silicone oil which prevent blood hanging on tube. Clot activator could activate the fibrin, turn the soluble fibrin into Insoluble fibrin polymer,then form a stable fibrin clot. If want to get results quickly, you can use a coagulation tube, normally the collected blood can be coagulated within 5 minutes. 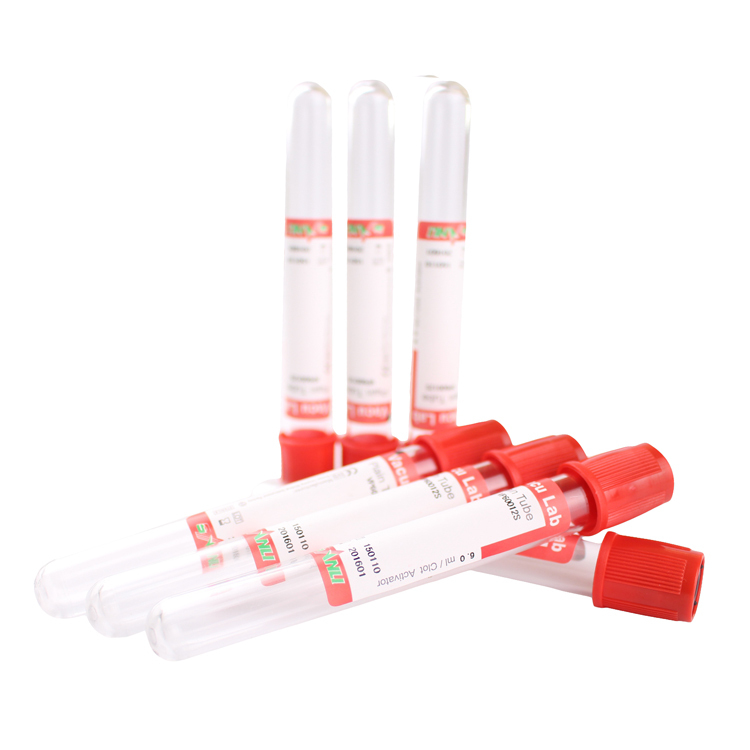 Generally the tube is used for emergency biochemistry. 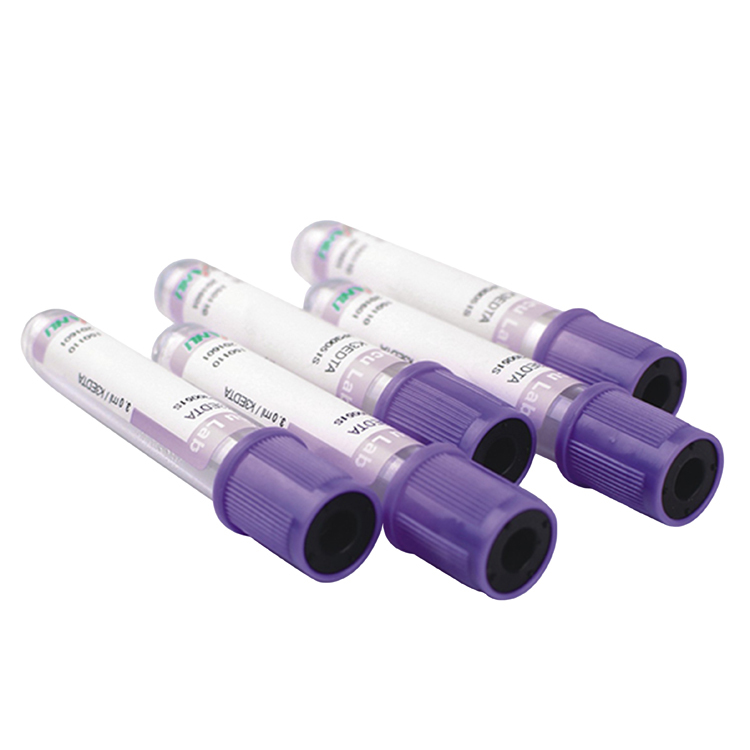 The tube wall is siliconized, coated with clot activator to accelerate blood coagulation and shorten inspection time. Separating gel is added to the tube,so tube has good affinity,could provide isolation. 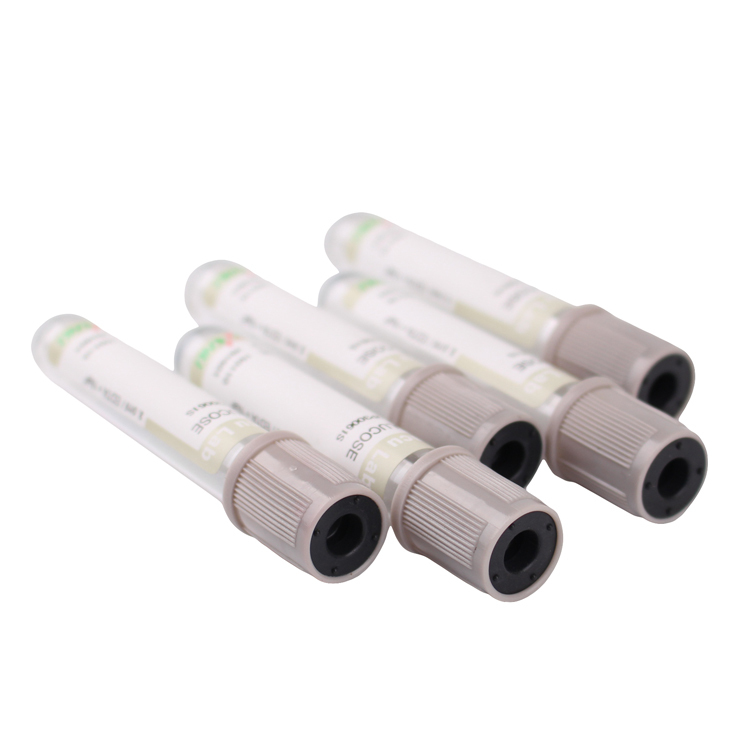 Generally, even in a conventional centrifuge, the separation gel can completely separate the liquid component (serum) and solid components (blood cells) in the blood and accumulate in the test tube to form a barrier. No oil droplets are produced in the serum after centrifugation, so the machine is not blocked. 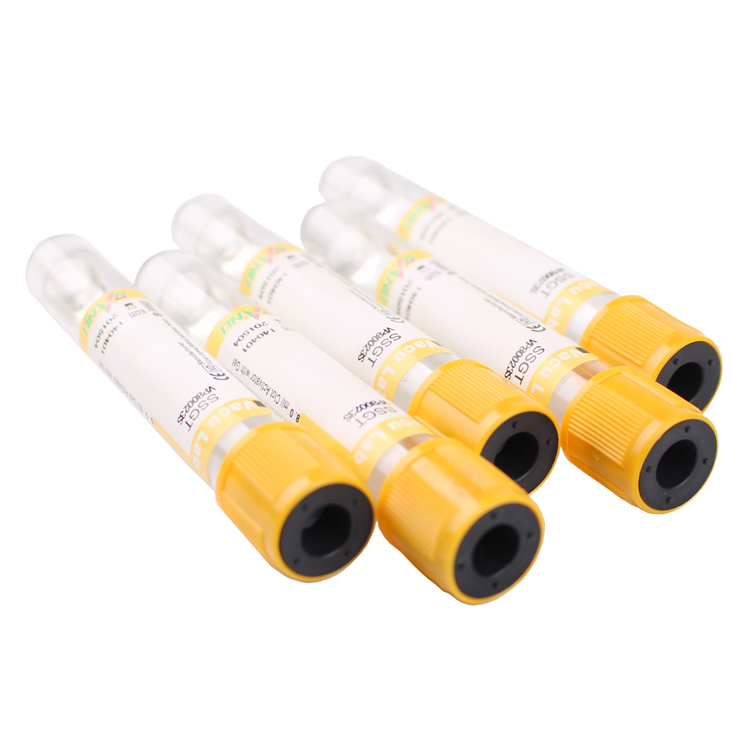 The yellow tube is mainly used for serum biochemistry (liver function, kidney function, myocardial enzymes, amylase, etc. ), electrolytes (serum potassium, sodium, chlorine, calcium, phosphorus, etc. ), thyroid function, drug testing, HIV testing, tumor markers, PCR, TORCH, serum immunological tests, etc. It’s coated with spray-dried lithium heparin or sodium heparin. Heparin is a mucopolysaccharide containing sulfate groups,with a strong negative charge, has the effect of boosting antithrombin III inactivation of serine protease,thereby preventing the formation of thrombin and preventing various anticoagulants such as platelet aggregation. 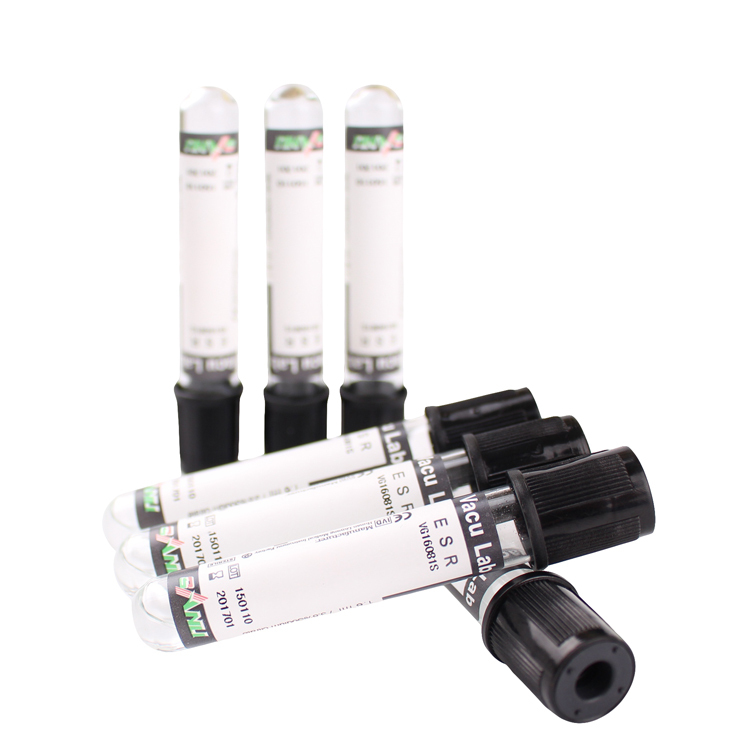 Heparin tubes are generally used for the detection of emergency biochemistry, TORCH, and blood rheology. When testing sodium ions in blood samples, heparin sodium tubes should not be used to avoid affecting the test results, also could not be used for white blood cell counting and classification, because heparin causes leukocyte aggregation. Ethylenediaminetetraacetic acid is an aminopolycarboxylic acid that can effectively bind calcium ions in the blood. EDTA is an aminopolycarboxylic acid that can effectively bind calcium ions in the blood. Calcium complexation removes calcium from the reaction site, preventing and terminating endogenous or exogenous coagulation processes, thereby preventing blood from clotting. Compared with other anticoagulants, it has little effect on blood cell agglutination and blood cell morphology, so EDTA (2K, 3K, 2Na) are mainly used as anticoagulants. it’s used for general hematology (blood routine) examination and blood ammonia testing, could not be used for blood coagulation, trace element examination. Sodium citrate chelate with calcium ions in blood samples to prevent anticoagulation.The ratio of anticoagulant to blood is 1:9. it’s Mainly used for fibrinolysis system (prothrombin time, thrombin time, activated partial thrombin time, fibrinogen). When collecting blood, we should pay attention to the amount of blood (2ml) to ensure the accuracy of the test results.After the blood collection, it should be mixed and inverted 8-10 times immediately. The volume ratio of sodium citrate to blood is 1:4. it’s used for sedimentation rate test. When the proportion of anticoagulant is too high, the blood is diluted, which can accelerate the erythrocyte sedimentation rate.When collecting blood, we should pay attention to the amount of blood (2ml) to ensure the accuracy of the test results.After the blood collection, it should be mixed and inverted 8-10 times immediately. Sodium fluoride is a weak anticoagulant with good blood sugar degradation and is an excellent preservative for blood glucose testing. When using, be careful to mix and invert slowly. 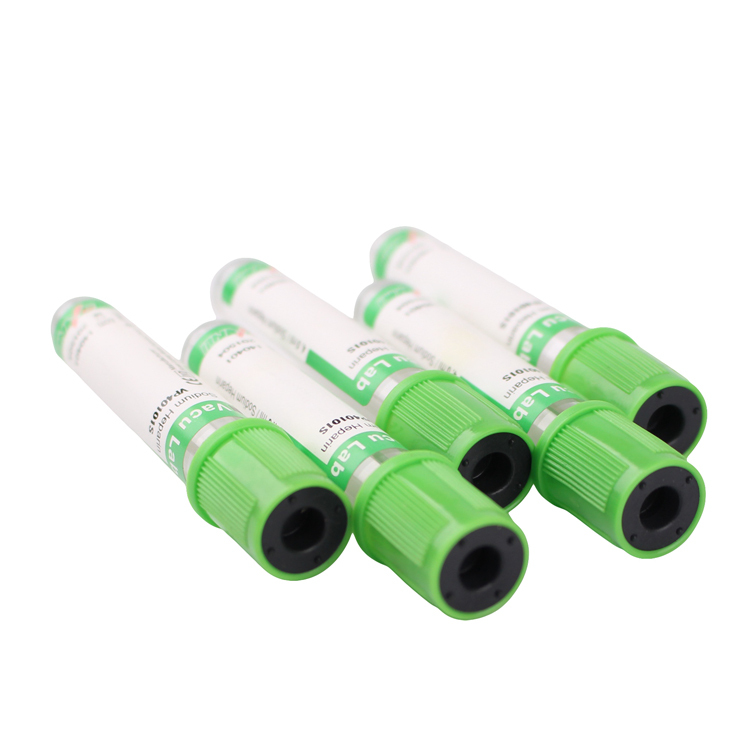 It’s generally used for blood glucose testing, can not be used for urease determination of urea, nor can it be used to detect alkaline phosphatase and amylase.